If you have ever complained that Oklahoma has some of the worst drivers on U.S. roadways, new research shows that you may be right. 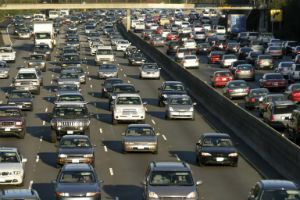 A new survey from financial technology firm SmartAsset found that Oklahoma has the third-worst drivers in the country — news our personal injury lawyers in Tulsa were shocked to hear. The survey combines research from the National Highway Traffic Safety Administration, the Insurance Research Council and the Federal Highway Administration. SmartAsset examined a variety of factors, including deaths per 1,000 drivers involved in car accidents and the percentage of insured drivers compared to licensed drivers. Oklahoma had a high number of deaths per 1,000 drivers involved in car accidents and had one of the 15 worst scores for driving under the influence arrests per 1,000 drivers at 7.74. Oklahoma also had the lowest percentage of insured drivers at 74 percent. SmartAsset gave equal weight to every factor that was measured and found the average score per state to come up with the final list of states. Even though you are at greater risk of getting into an automobile accident on Oklahoma roadways, you can avoid accidents by not driving recklessly or while impaired. You should also avoid distracted driving, which includes texting or using smartphone apps while driving. There has been increased attention on distracted driving in the few weeks since the Pokémon Go smartphone app has been released. The augmented reality game allows users to attempt to catch Pokemon characters who appear in real-world locations on users’ smartphones. However, many users are playing the game while driving and this has caused distracted driving crashes all over the country. Recently, a teenager in Napa, California, may have been playing the game when she ran her car into a power pole. If you or a loved one has been seriously injured or killed in a car accident, contact the auto accident attorneys in Tulsa at The Edwards Law Firm today for a free consultation. We have been fighting for the rights of car accident victims for many years.